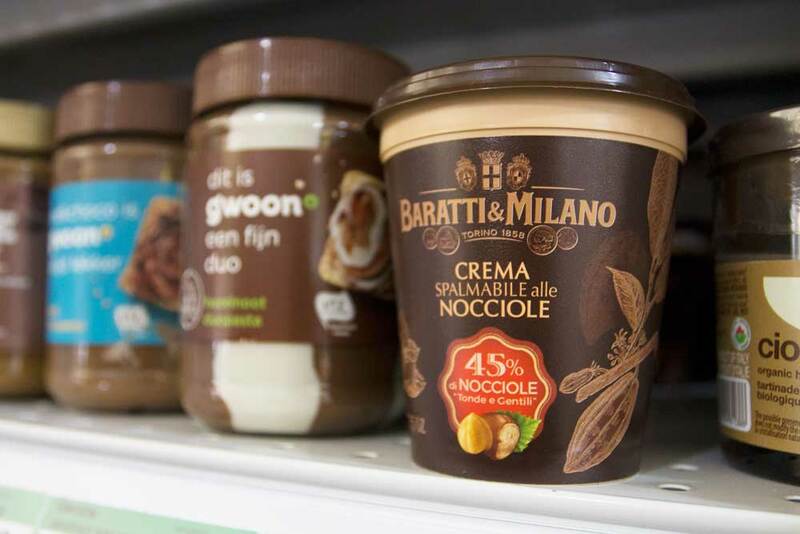 Bolognese sauce, fresh pizza dough and tiramisu are just a few of the items you’ll find at this European grocery store. 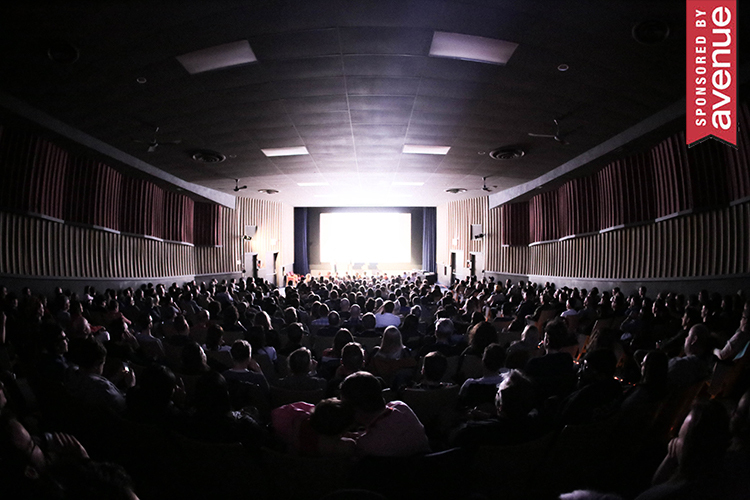 When Edmonton’s Italian Centre Shop expanded to Calgary in 2015, it brought with it more than 50 years of history and a strong sense of community. At the Calgary shop in Willow Park, it’s not uncommon to hear regulars being greeted by name or a helpful staff member sharing the story behind a product. And when you leave, you feel a little bit like you’re part of the family. 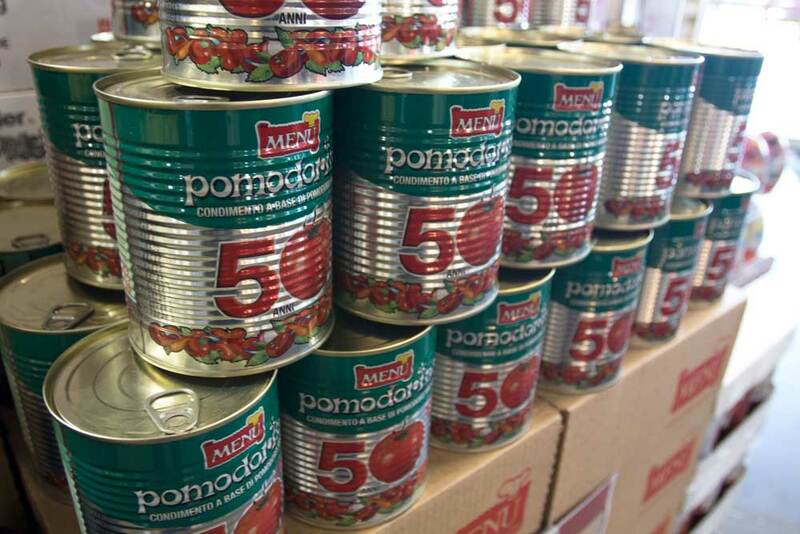 While there are plenty of Italian products and treats here, the Italian Centre Shop carries food and grocery items from across Europe. There’s also a lively cafe where you can order anything from coffee to pizza to gelato. Towering over it all is the 13-foot-tall Cathedral of Cheese showcase, an impressive structure that houses dozens of large cheese wheels just waiting to be cracked open. General Manager Gino Marghella, who first worked in the Italian Centre Shop’s deli in Edmonton at the age of 17, moved to Calgary a few years ago to run the new location. Here, he shares some of the store’s most notable (and some of his personal favourite) products. 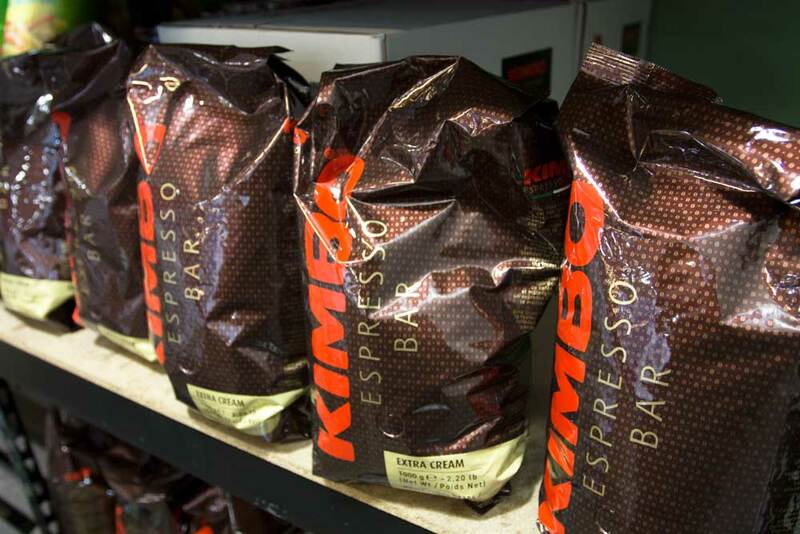 You can try Kimbo espresso in the Italian Centre Shop’s cafe or pick up a bag ($16.98) to enjoy at home. It’s a mix of Robusta and Arabica beans. “I use that in my coffee machine at home,” Marghella says. In the produce section, you’ll find everything from carrots to persimmons. “We bring in specialty produce that’s unique to our culture, but also our regular everyday produce,” Marghella says. 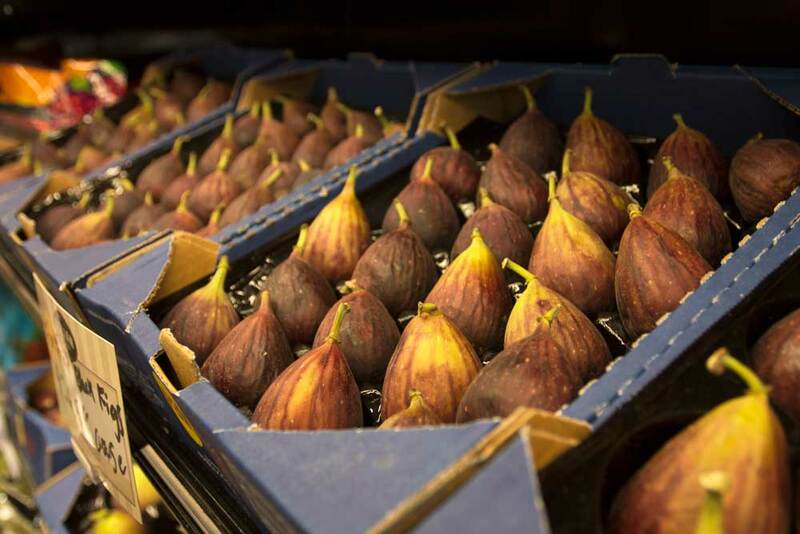 Some of his favourite products in this section include fresh basil from Morinville and figs ($26.98 for a case). 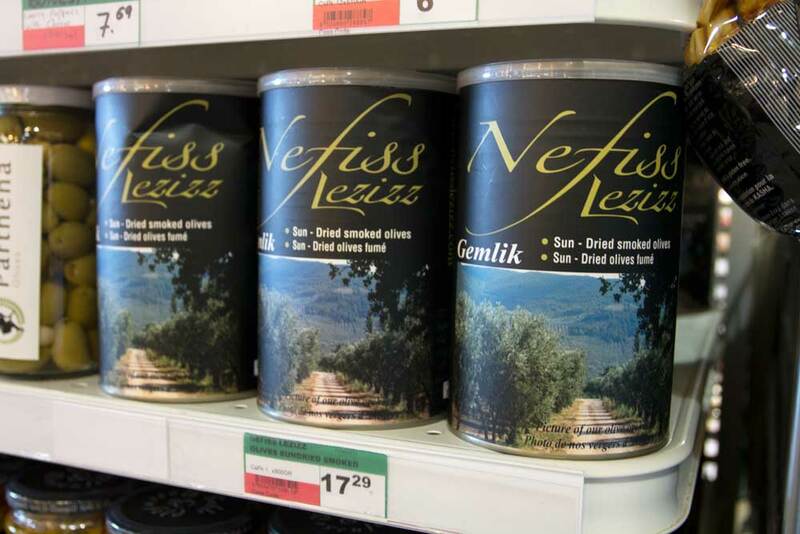 The Italian Centre Shop has its own line of products called Massimo’s, which get their name from owner Teresa Spinelli’s son. 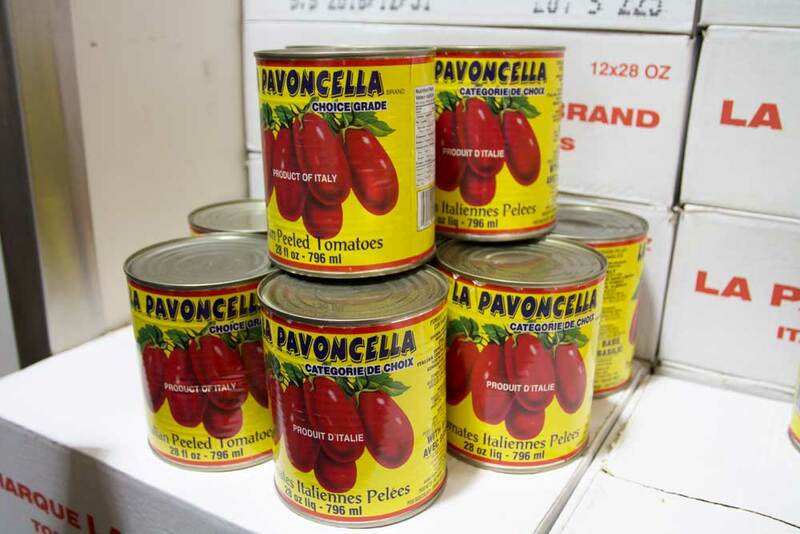 The sauce bolognese Piedmontese is made in-house with the Italian Centre’s own La Pavoncella tomatoes. In addition to the bolognese sauce ($9.50), there’s a cream sauce ($3.50), a rose sauce ($4.50) and a tomato sauce ($3.50). 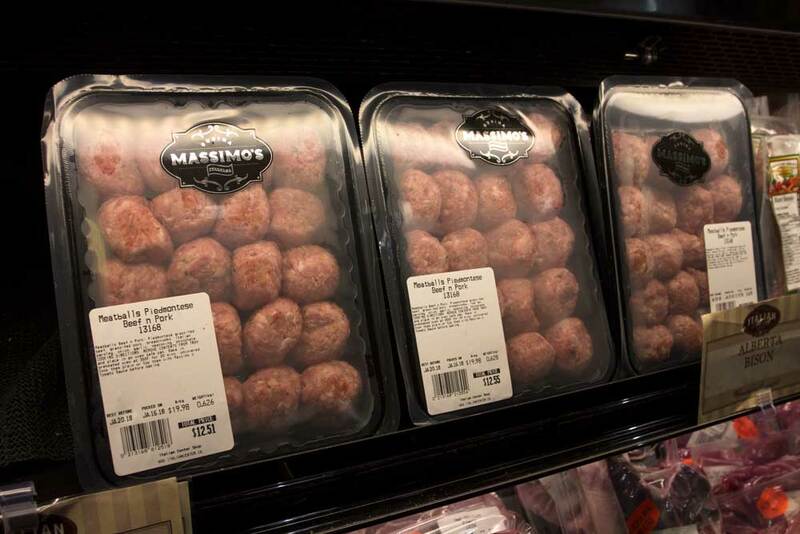 In the meat section, there are products like Massimo’s meatballs (approximately $12.50), as well as butchered beef, lamb, pork, veal and more. Red Deer-based Messinger Meats supplies the Italian Centre Shop with its butchered meat, and this is the only place in Calgary you can get their products. 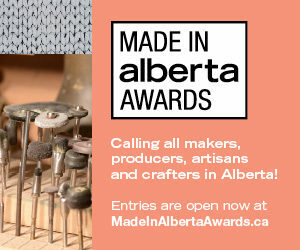 The Piedmontese beef is particularly notable; a breed of Italian cattle that is now also raised in Alberta, the beef has several benefits including being very high in protein. Over by what Marghella calls “the old bread barn,” you’ll find breads and buns like ciabatta, sourdough, calabrese, pugliese and more. “I love the pagnotta bread because I love to cut it, hollow out the middle, put olive oil, tomato, mortadella and cheese, and make a salad,” he says. The bread is made fresh daily and if they have any left at the end of the day, they give it to LeftOvers Calgary. 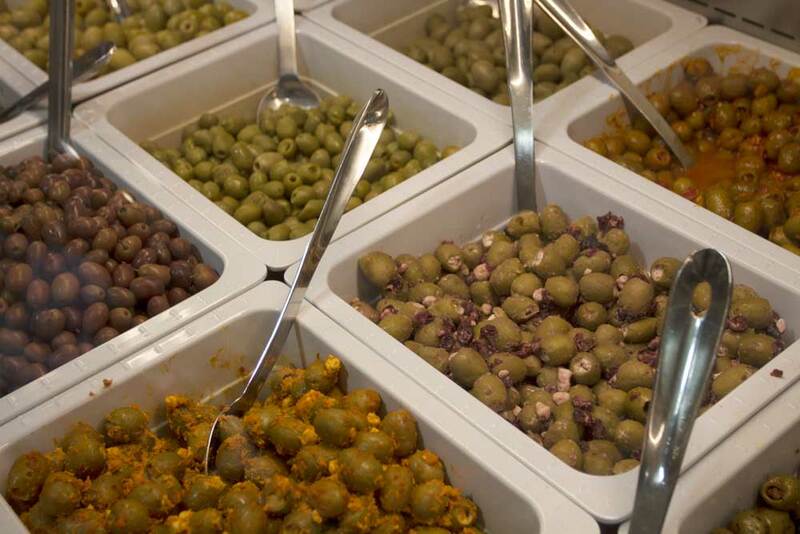 The deli, which Marghella calls “the heartbeat of the whole store,” offers fresh olives that range from Greek Kalamata olives to organic Sammarelli olives. Marghella’s personal favourite is the Manhatttan olives, which come from Edmonton’s Olive Me. Cheese lovers will be in heaven at the deli. 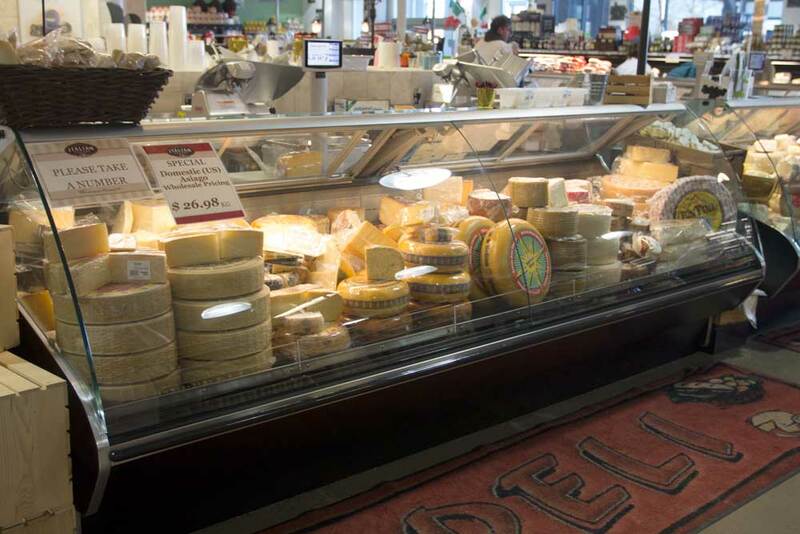 There’s a huge selection of cheeses, including piave mezzano, prima donna and piave vecchio. If you’re not sure what to get, just ask for a sample or a recommendation from the staff. 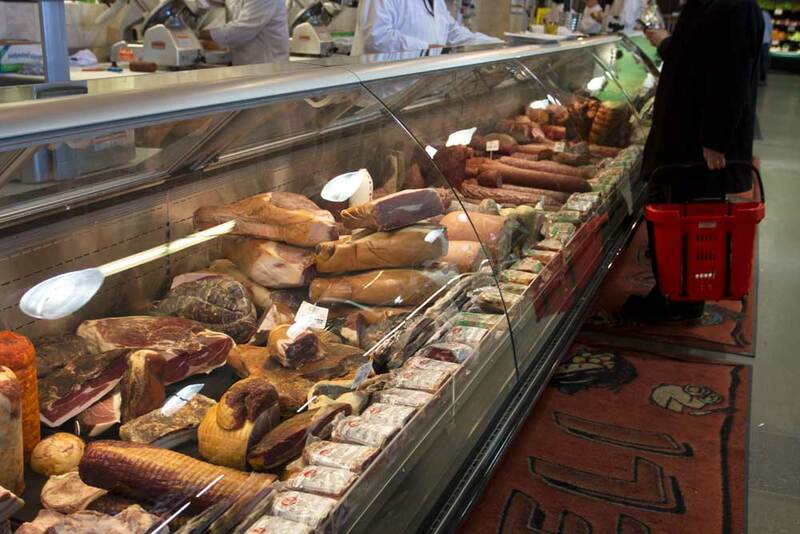 The deli also offers a huge selection of meats. If you’re not sure what to get, just ask for a sample or a recommendation from the staff. Some of Marghella’s favourites include truffle salami and prosciutto di parma. The Italian Centre Shop has everything you need to make your own pizza at home. 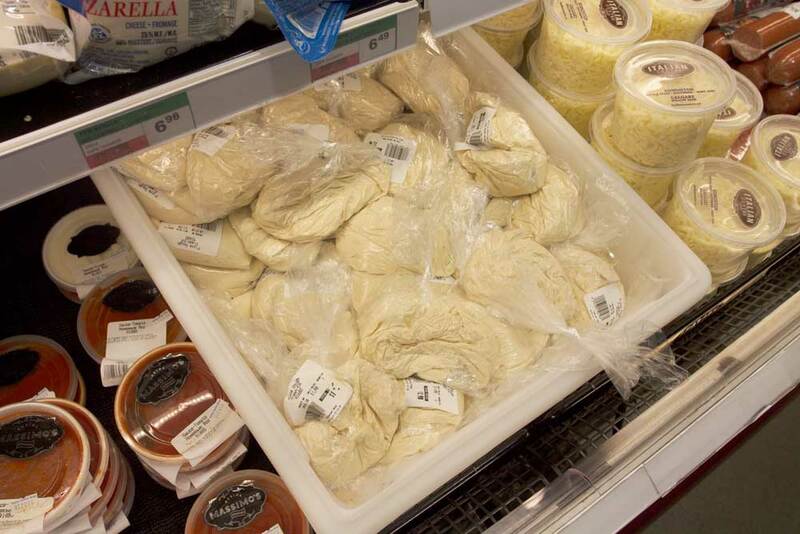 Fresh pizza dough is made daily and portioned into bags ($1.98 each). One bag of dough generally makes a large pizza. 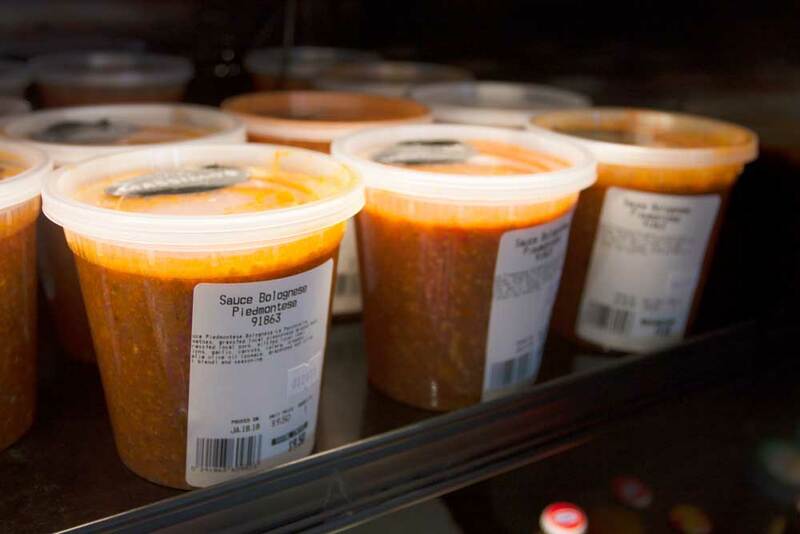 Cheese and pizza sauce are conveniently stocked right beside the dough. You can also pick up frozen pizza dough in packs of four for $6.98. 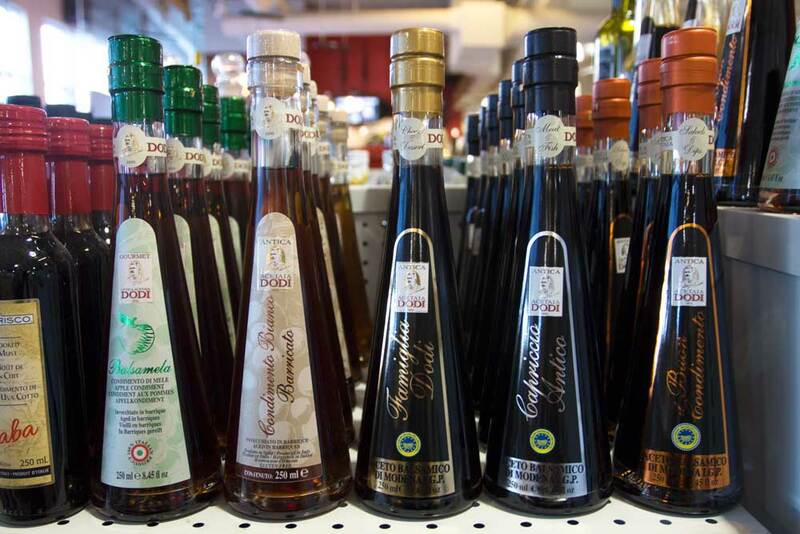 The Italian Centre Shop carries dozens of different kinds of olive oil. “I love this DOP product called Domenica Fiore,” Marghella says. 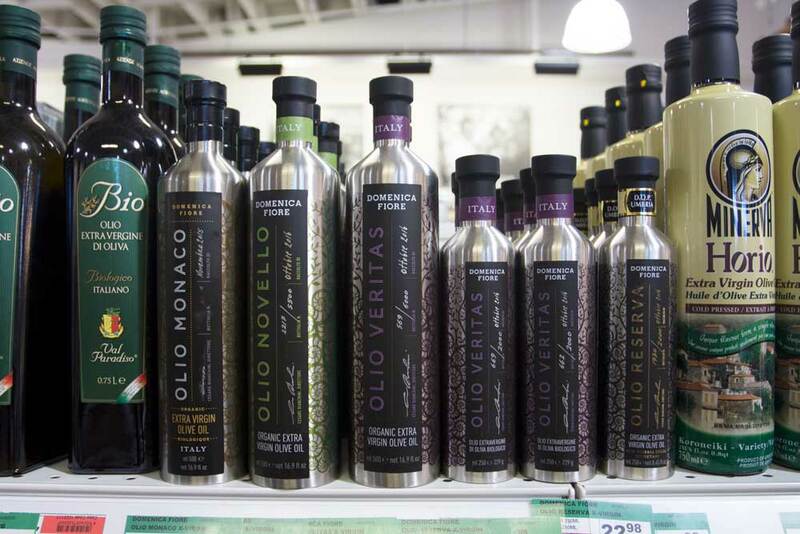 “Domenica Fiore has been winning a lot of the awards lately. The olives are from Umbria.” Of course, the kind of olive oil you use can vary depending on what you’re making. Marghella says he also cooks with olive oils from brands like Colavita, Francisco Gmez, Partanna, grape seed olive oil and truffle oil. 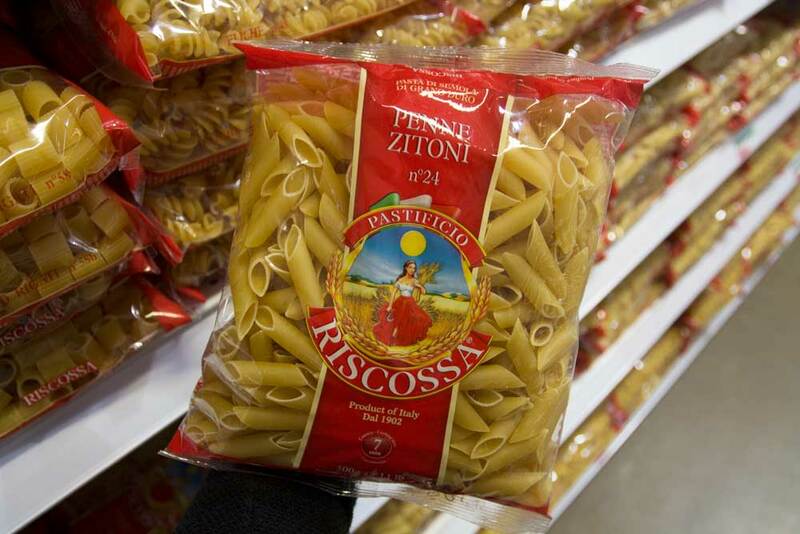 The Riscossa pasta comes in a huge variety of noodles shapes. And at only $1.49 a bag, this pasta is a great deal. Looking for an alternative to Nutella? This hazelnut cream ($13.98) from Baratti & Milano is it. 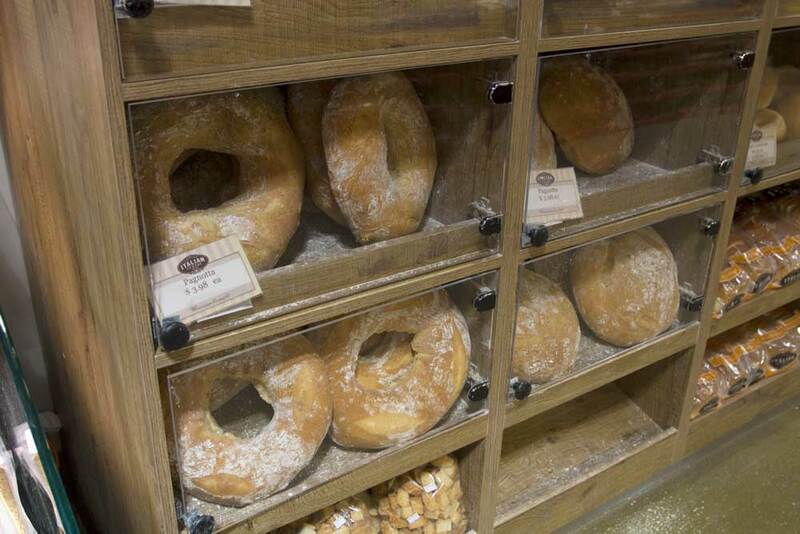 Just like the bread, the pastries are made fresh daily here. 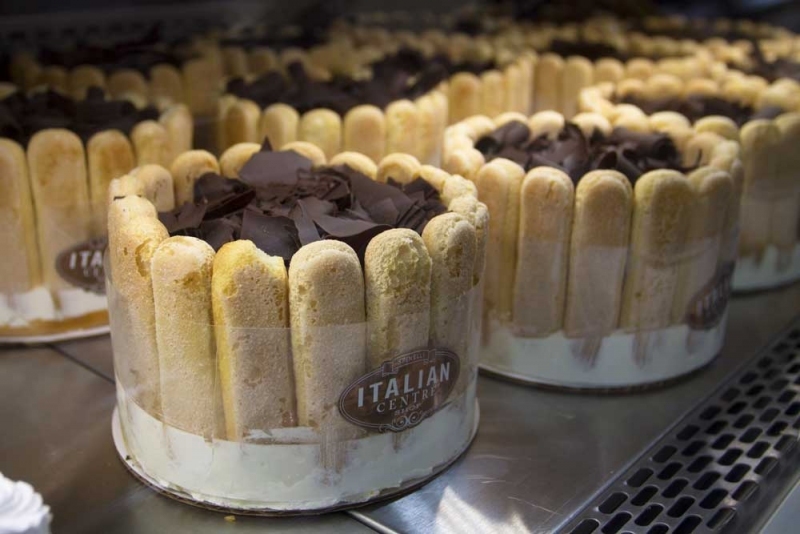 You’ll find the bakery stocked with double chocolate brownies, vanilla mille feuille, tiramisu and several kinds of cheesecake. 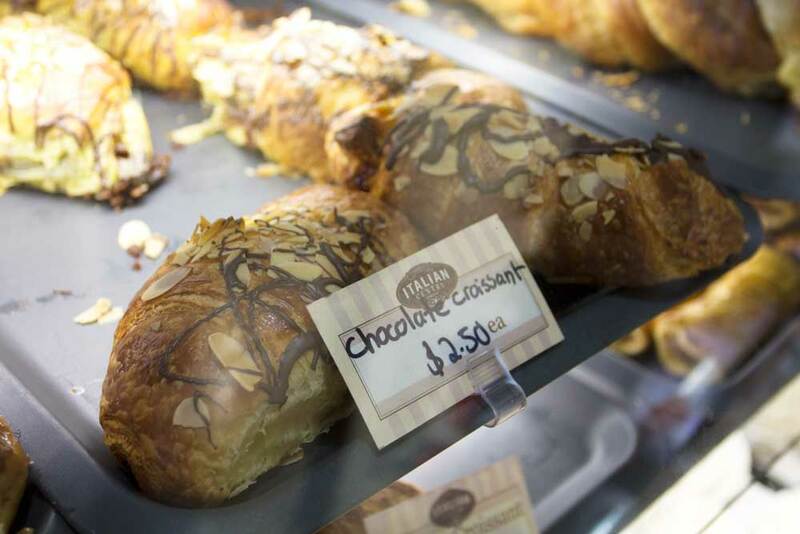 Plus, there are chocolate croissants for $2.50. “In the morning, nothing beats a cappuccino and a chocolate croissant,” Marghella says. 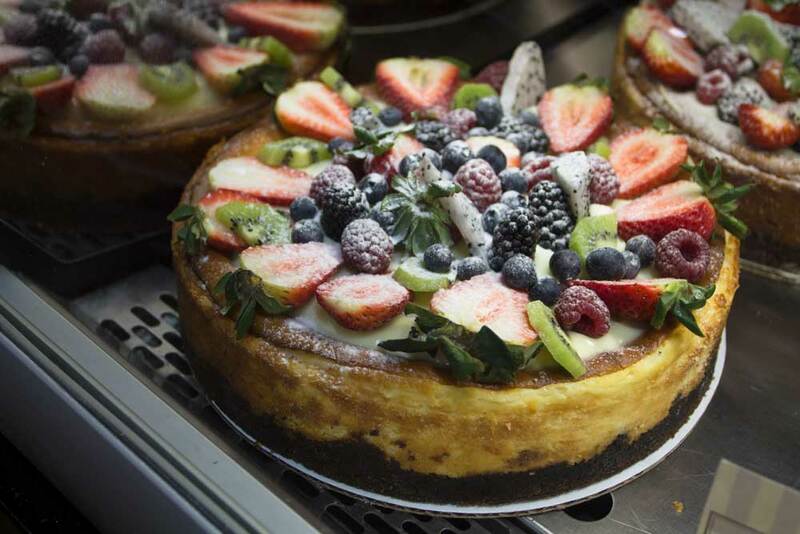 These creamy cheesecakes come in small, medium and large ($22.98 to $39.98) and are topped with dragonfruit, raspberries, kiwis, strawberries and other fruits. 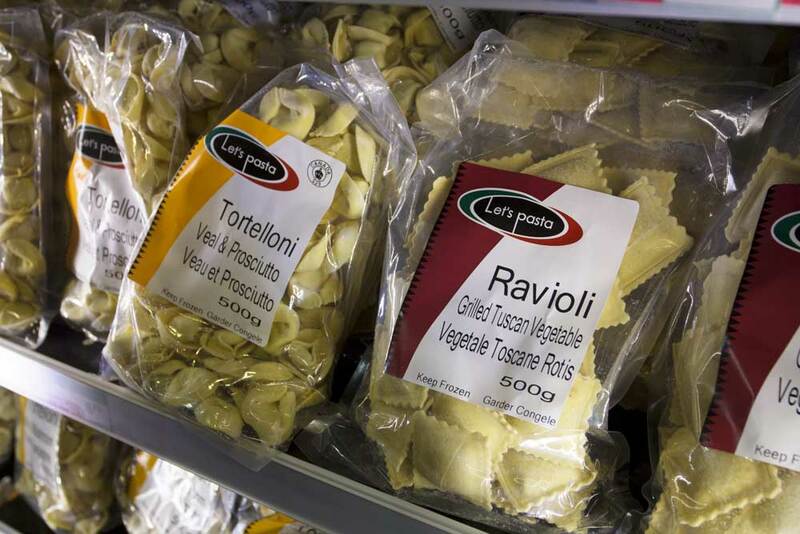 A section of the freezers are filled with pre-prepared pastas from Lethbridge-based company Let’s Pasta. The pastas come in flavours like grilled Tuscan vegetable ravioli, veal and prosciutto tortelloni, lobster and crab ravioli, rosemary chicken tortelloni, Italian sausage ravioli and more. 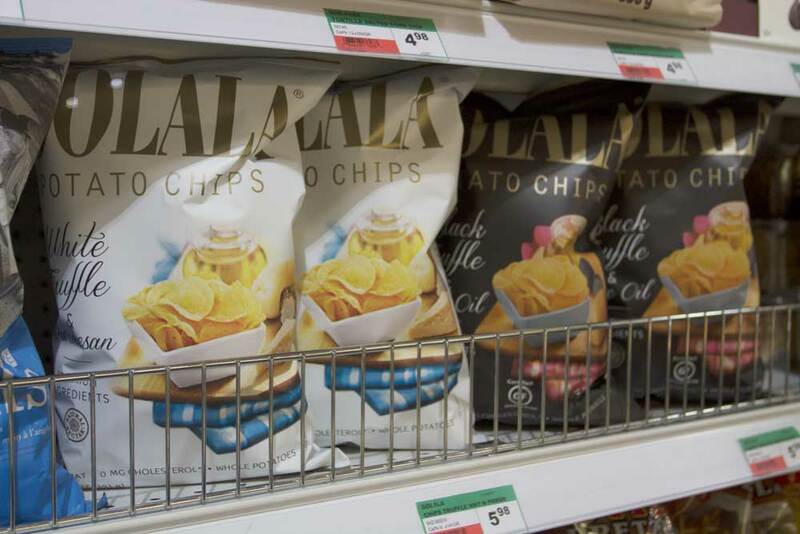 Try these Oolala chips ($5.49) in either the white truffle and parmesan flavour or the black truffle and olive oil flavour. Marghella prefers the former, while his wife likes the latter. There are a few different kinds of Acetaia Dodi balsamic vinegars ($19.98 to $29.98), but just look at the top of the label to see what types of food they go best with. There are vinegars for cheese and dessert, meat and fish, and salads and dips.